We know the limit exists when it comes to drinking (god, how we know), but there’s no limit to new bars getting out of our dreams and into our city. So far this year, Brisbane has been blessed with everything from piano bars to vegan bars, and we’ve got the lowdown on joints that’ll raise your spirits and fuel your hunger for something different. Me oh Maeve. South Brisbane’s newest wine bar has perched itself at the top of a gorgeous heritage listed building off Melbourne and Grey Street, adding a side of great views to your vino and sourdough crumpet with smoked duck honey ham, hazelnut butter and thyme. The ever-changing wine list is as extensive as it is tried and tested by the moguls behind Maeve, ensuring that there’s something for everyone with none of the grapes that you’d rather forget about. You can also head in for beer, spirits, cocktails and non-alcoholic options to go with glorious European-inspired eats, with black garlic waffle with gelatina de vino and Cashel blue parfait at the top of our must-devour list. Two of our favourite things! Death & Taxes is Burnett Lane’s newest bar baby, where you’ll be able to greet death on an artist’s mural out the front (he’s not a bad guy, just a little grim). 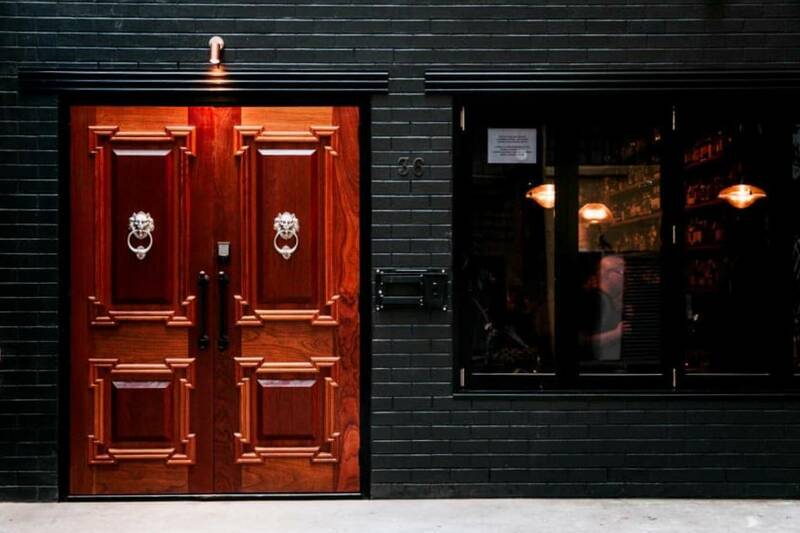 Through the wooden doors you’ll find forest green booths for you and your buds, and a four-metre-tall bar where you can grab 30 different cocktails, delve into a vast wine selection, or get into the spirit of things with whiskey, rum, tequila and mescal. Don’t tell me what to do. Honestly though, it’d be hard not to come again after experiencing West End’s gorgeous new 100% vegan tapas bar! You Came Again is the first of its kind in Brisbane, and we have a feeling it’ll hold onto first place if any more come along. The front of the bar doubles as a gorgeous intimate restaurant, with the backyard open on sunny Brissie days for a cheeky picnic with your pals (picnic blankets are provided!). Kick back with green tea martinis, beer, wine, and a plant-based menu featuring everything from mushroom and walnut pate with truffle oil to vegan meatballs served with romesco sauce. The grass really is greener on the westside. Grand pianos, French martinis, and all that jazz. Emporium Hotels latest bar has been shaking and stirring up Brisbane’s music-fuelled lounge scene for the better! The Piano Bar is an ode to timeless elegance, offering a bespoke experience unique to Brisbane that needs to be seen to be believed, with chandeliers hanging from the ceiling, bespoke cocktails to pair with dishes from brunch to dinner (the chicken liver parfait with toasted brioche and red onion marmalade is a must), and a literal piano being professionally played every Friday and Saturday from 7:30pm. No Spain, no gain. Brisbane’s newest Spanish tapas and wine bar has come in hot to its CBD location. With not a single red flag in sight, you can confidently bolt in to reap the benefits of the venues Spanish Pira oven, where charcoal, ironbark and fruit woods assist the creation of beef cheek, sticky pork ribs and more, although plenty of fresh seafood options might just win you over in the meantime. Be sure to grab your favourite drink, but food truly is the star of the show.